64 • March 2019 • S I G N & D I G I T A L G R A P H I C S Some companies now carry sublimatable aluminum, which is good at standing up to the elements. (Image courtesy UniSub) A heat press is used to seal the design on the item that is being sublimated. 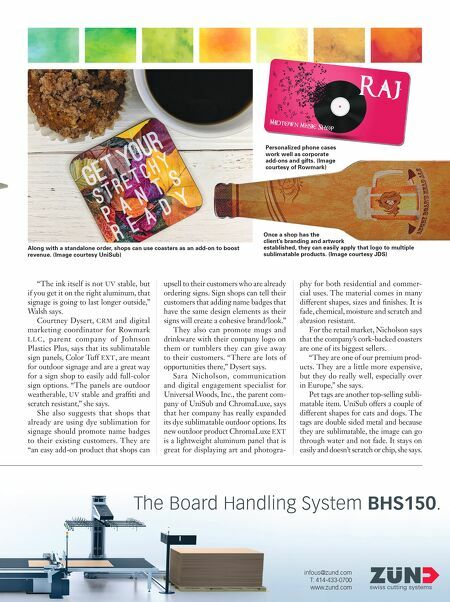 (Image courtesy JDS) Coasters continue to maintain popularity for both small and large orders. (Image courtesy UniSub) Restaurants and coffeeshops are always reliable avenues for creative signage. 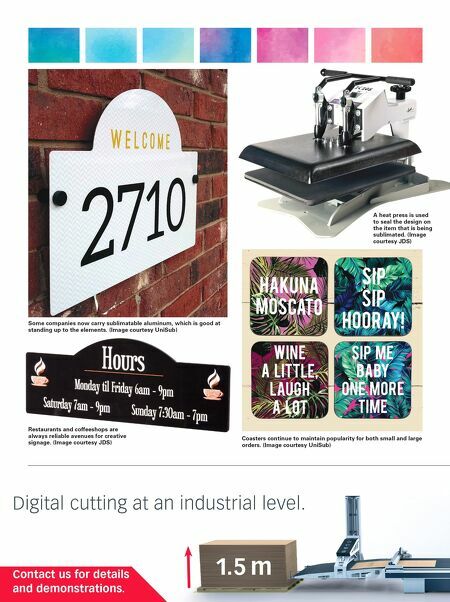 (Image courtesy JDS) Digital cutting at an industrial level. 1.5 m Contact us for details and demonstrations. Digital cutting at an industrial level. 1.5 m Contact us for details and demonstrations.